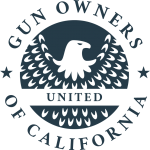 Gun Owner's of California is an organization with a long history of fighting for Californian's 2nd amendment rights. 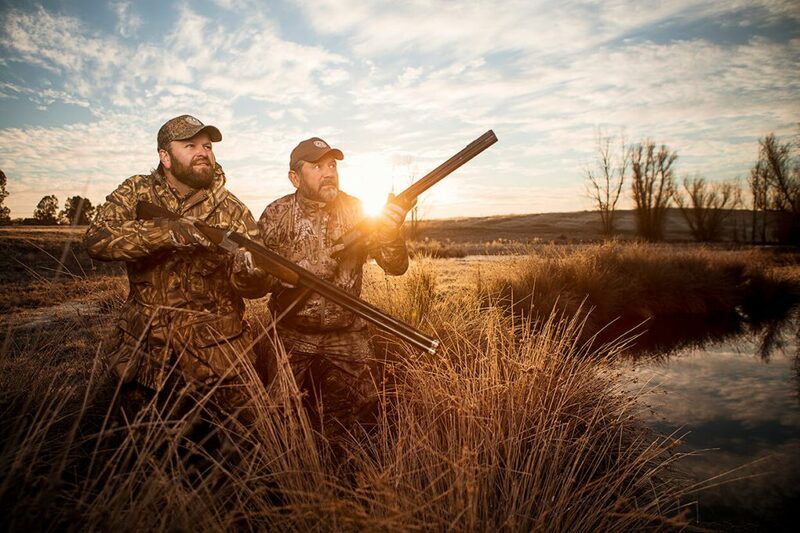 They are on the front lines every day lobbying for crime control over gun control. 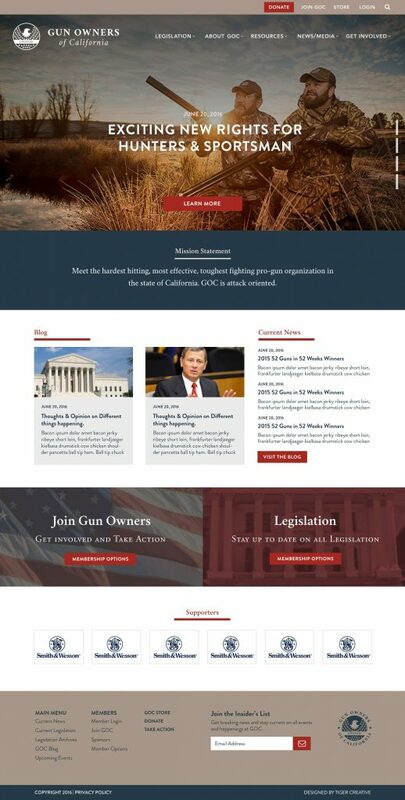 The work they do for California gun owners is amazing, but their visual brand and web presence didn't communicate that truth very well to their audience. 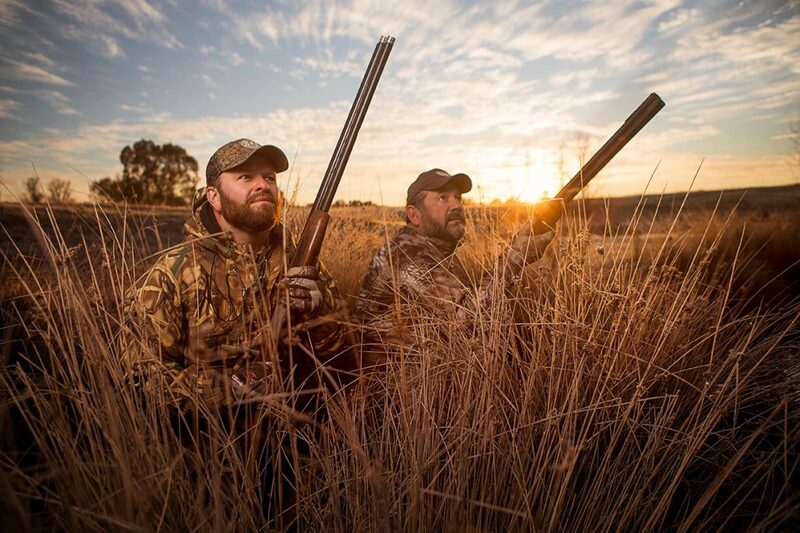 The Gun Owner's brand has a long legacy. It has not been changed since the original artwork was released. Our challenge was to stay true to that legacy, while updating the brand to be relevant to an ever increasing younger audience. 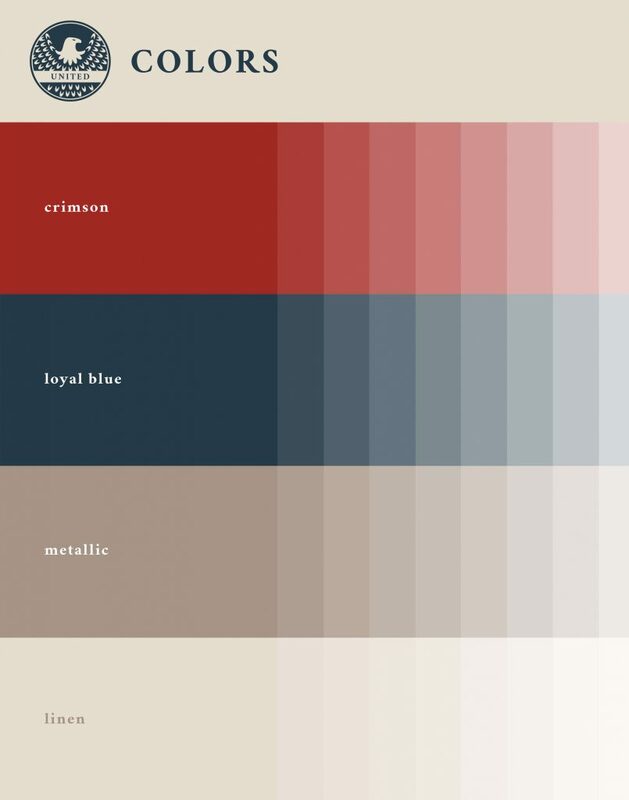 As for their old website, it was visually aggressive and difficult to navigate. Their donation gateway was secure, but because of the visual shortcomings it did not instill confidence in users. 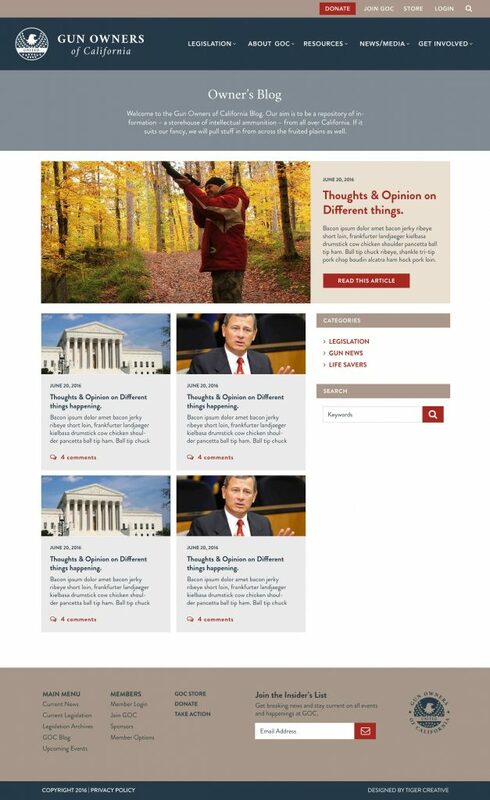 We helped change that perception with a site design that was both easy to use, and visually pleasing to the user. 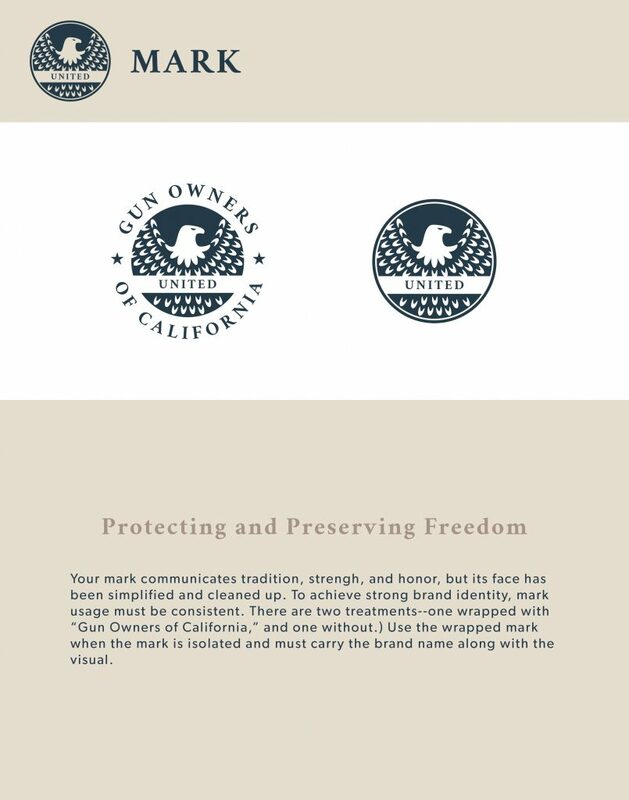 The challenge with the Gun Owner's of California visual identity was to stay true to legacy, while creating a brand that is relevant today. 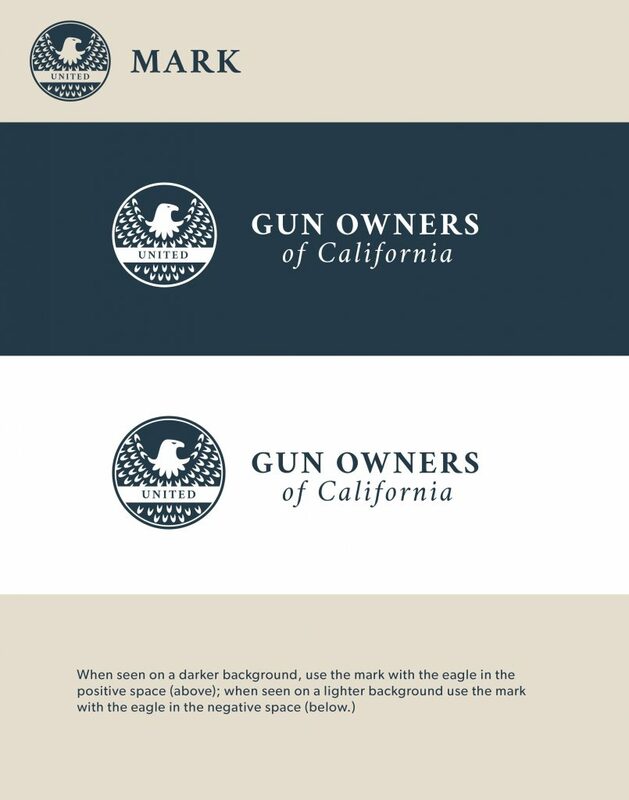 Gun Owner's wanted to be more effective in reaching a younger audience, so we created a mark that would speak to that new audience well, while staying true to their historical imagery as to not alienate their already strong support and donor base. 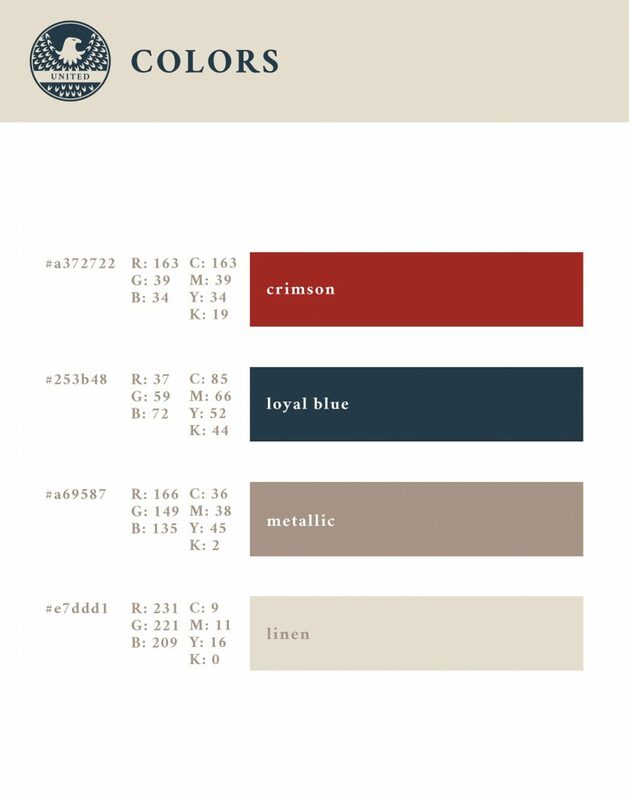 We also introduced a level of consistency throughout the brand that GOC has not had historically. This new consistency will allow GOC to deliver a user experience across all brand touch points that they have not had historically. 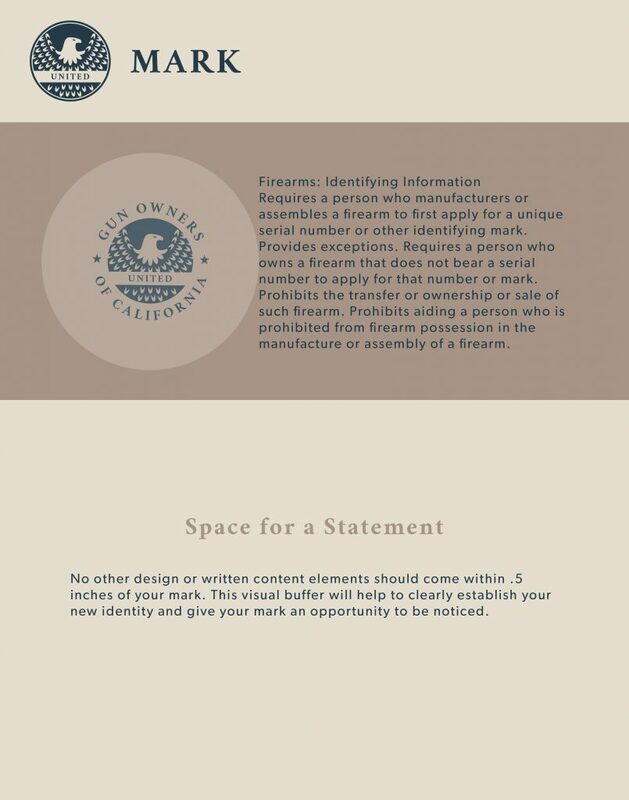 Once we had completed the visual brand identity for Gun Owner's, we wrapped their new visual identity in brand guidelines. 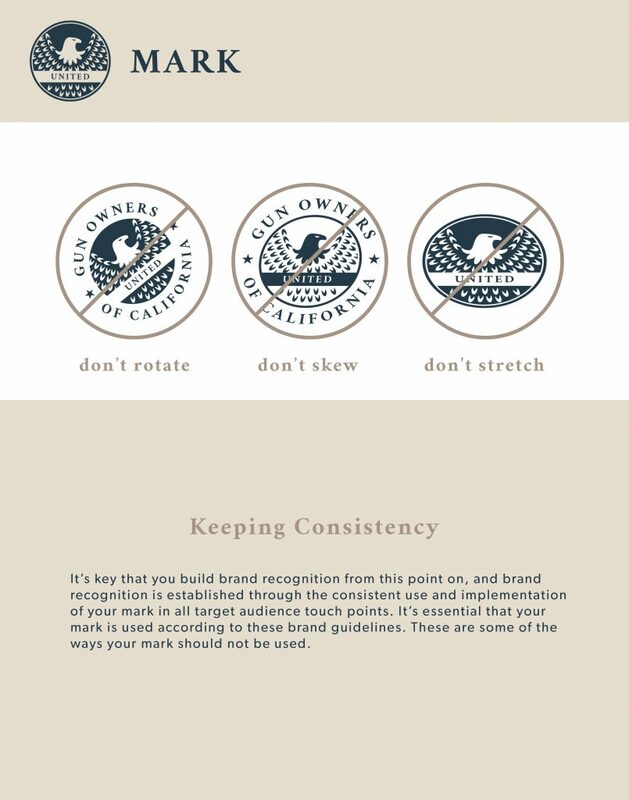 These guidelines will serve as a roadmap for the organization moving forward and will help keep all brand touch points consistent. The Gun Owner's website was the primary focus for this entire project. 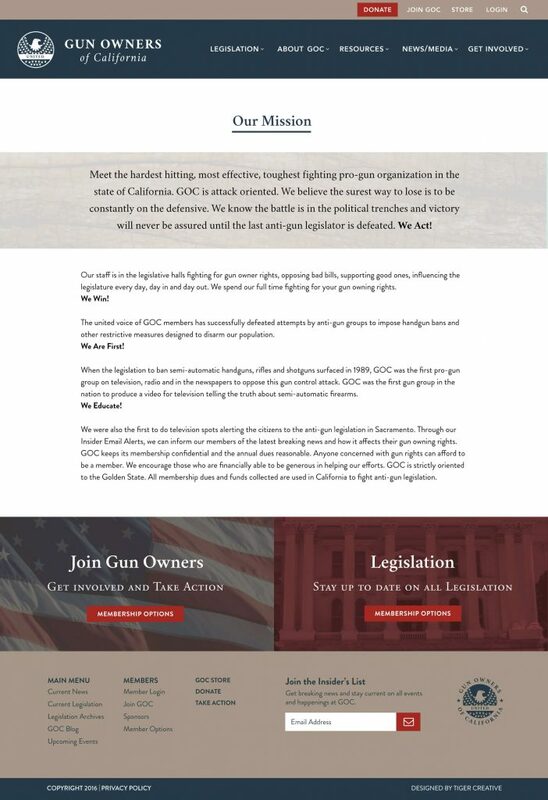 On the back end Gun Owner's wanted to automate their donation systems in order to make things more secure and give donors an easier, more streamlined experience. 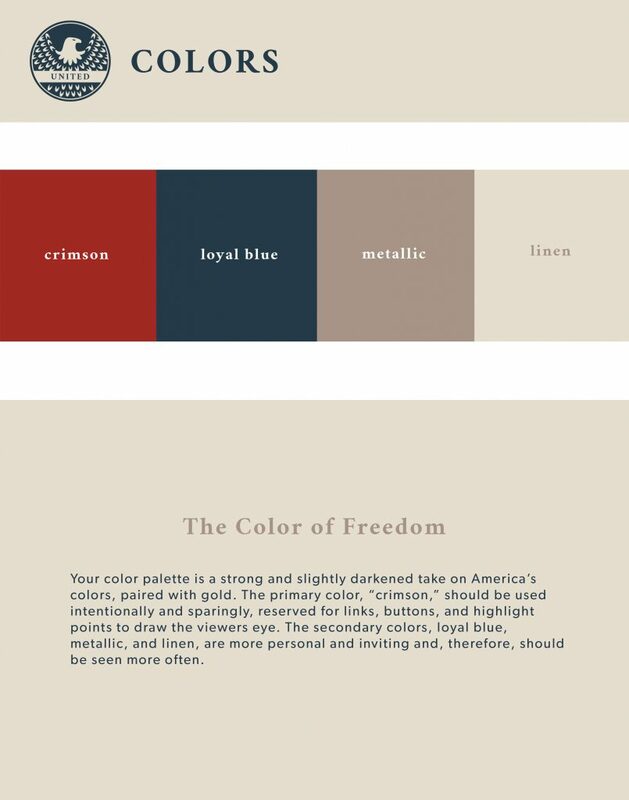 On the user's side, the goal was to design a site that balanced form and function. 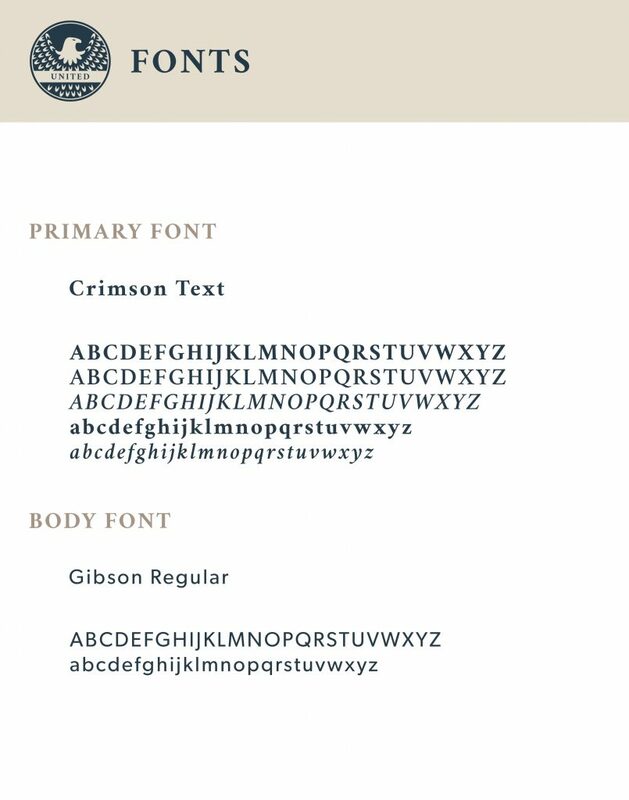 It needed to be easy to use while at the same time visually strong. 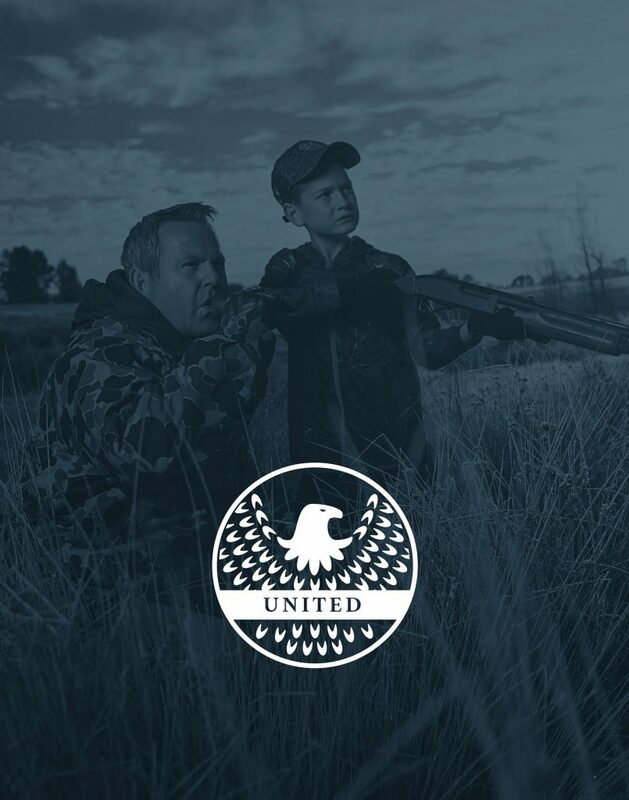 During the discovery phase we realized that education was a big piece to the Gun Owner user experience, so we designed and built a site that took inspiration from news and education websites allowing easy content consumption for Gun Owner user's. 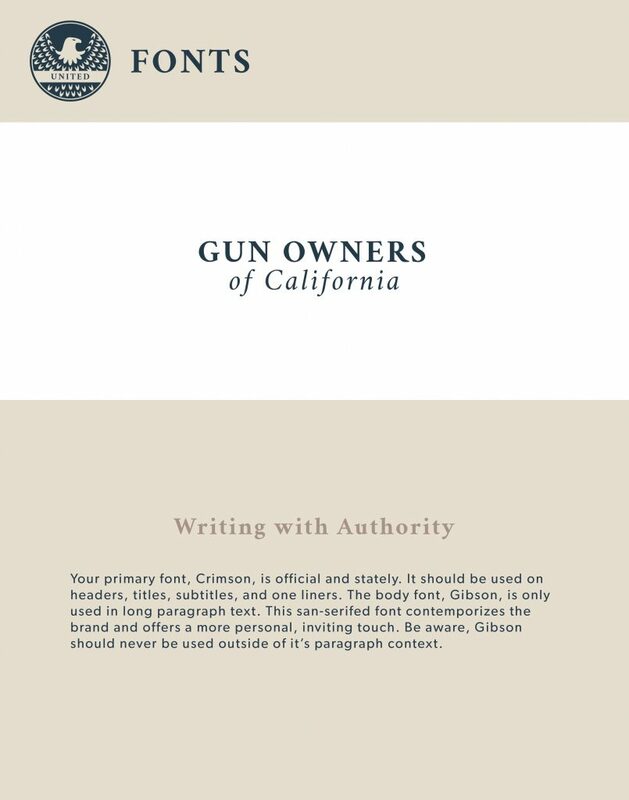 For the Gun Owner's of California 2016 Ad Campaign we wanted to take a different visual approach to how we communicate what Gun Owner's of California represents. We wanted to come at the issue at a deeper emotional level, without using negative imagery. 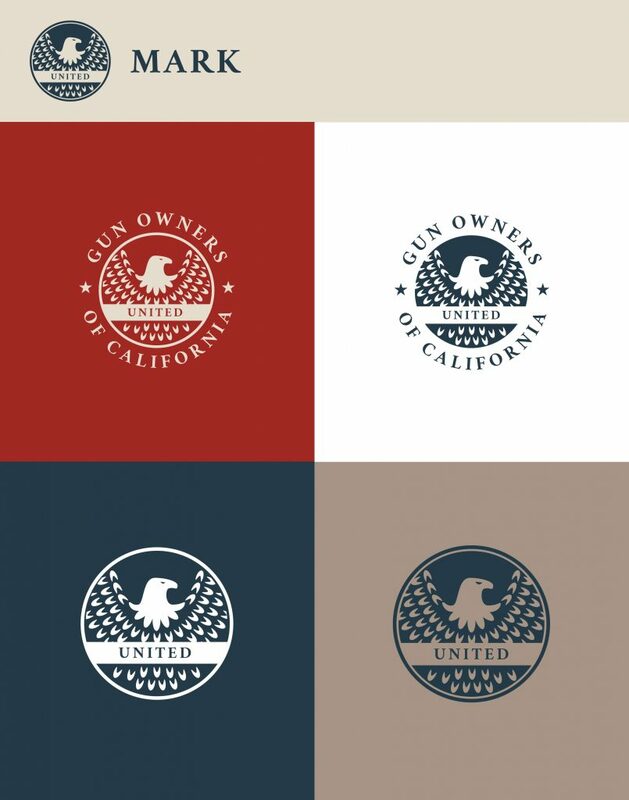 It goes without saying that these images do not encompass everything Gun Owner's does for our second amendment rights, but these images communicate well that they are fighting for more than our rights to bear arms. 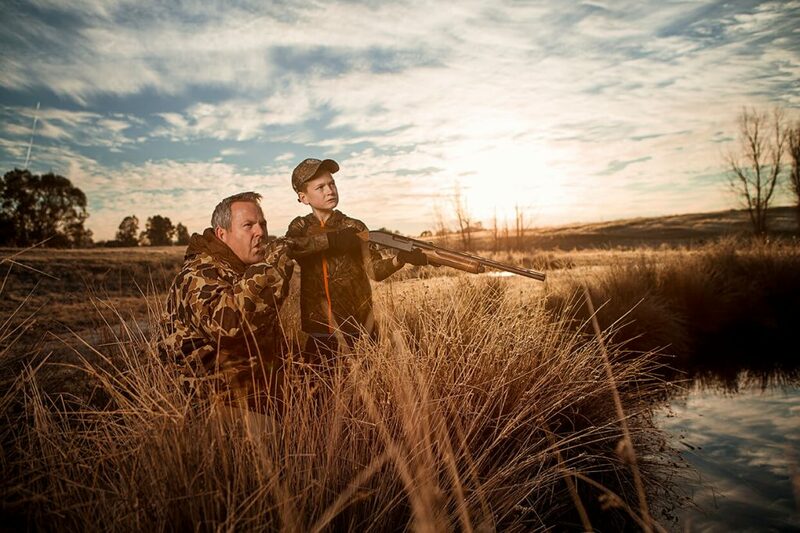 Gun Owner's is fighting for crime control, but they are also fighting for our right to spend quality time with family. 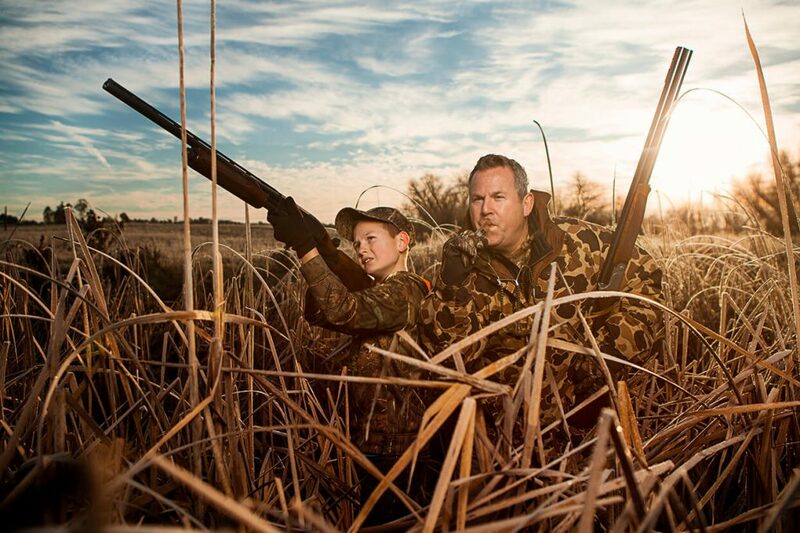 To enjoy a sport that has sometimes been in the family for generations.